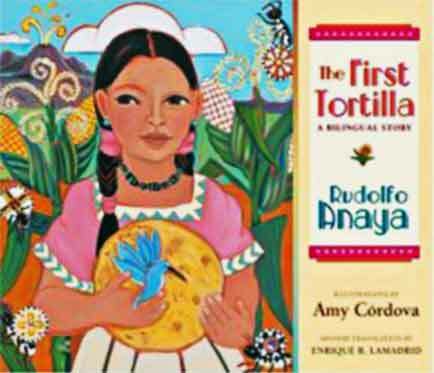 The First Tortilla, a children’s book by Rudolfo Anaya (University of New Mexico Press, 2007) has received the New Mexico Library Association and the New Mexico International Reading Association’s Land of Enchantment Book Award. The book is the story of a Mexican girl who saves her village by making the first tortilla with the help of the Mountain Spirit. Amy Cordova is the illustrator.